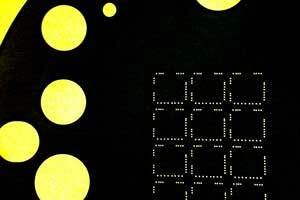 Fully Functional Microfluidic Devices for as low as $90 each. February 24, 2015; Baltimore, MD: Potomac Photonics, a leader in micro-fabrication for the medical device and biotech industries, announces FAST TRACK, a new manufacturing process to quickly and economically build complete custom microfluidic devices. 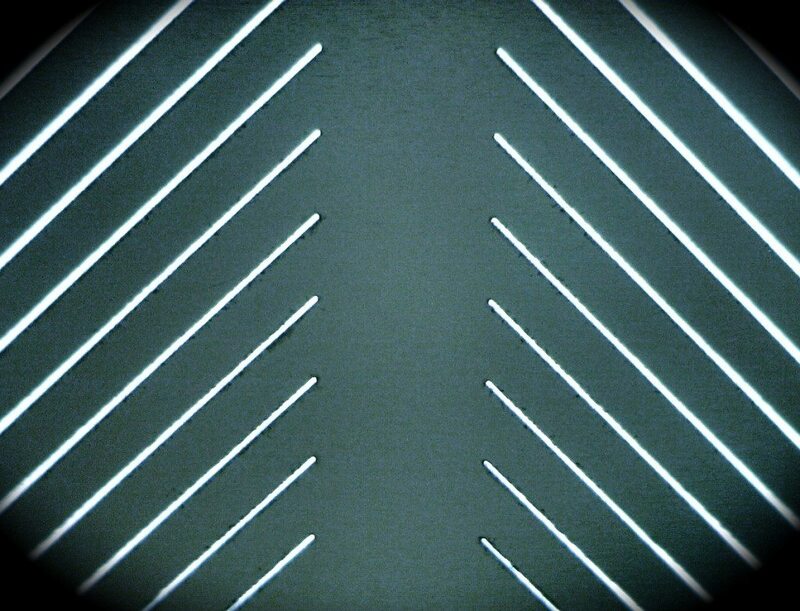 From a .DFX format CAD drawing, Potomac can generate and precisely replicate channel designs in a polymer substrate, laser micro-machine vias and holes, and also bond cover slips to create a finished microfluidic device that is customized for specific applications. 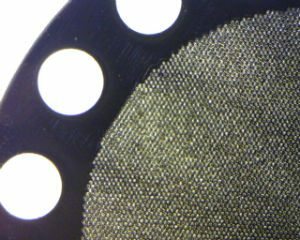 Because digital fabrication does not require the multiple steps involved in photolithographic processes, turn around time is greatly reduced. Plus, there is no expense to make an expensive mask, giving a researcher the freedom to alter designs and test concepts iteratively in order to optimize configurations and consequently speed time to market. In recent years, microfluidic devices and Lab on a Chip have been moving from detection to point-of-care diagnosis and even treatment. The implications for health care are enormous, given the small samples required for accurate results, and the reduced expense of large equipment that is prohibitive especially in the developing world. In order to keep the price low, FAST TRACK’s microfluidic device fabrication process has specific design parameters that you can find on the Potomac website Fast Track page. These include material choices for substrates and bonding, as well as channel and hole sizes. 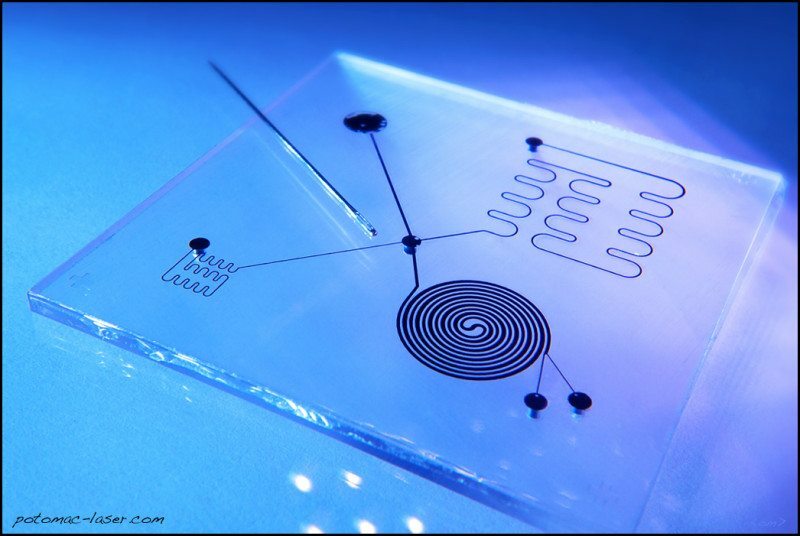 For a microfluidic device that can work within these choices, prototyping a minimum of 10 parts cost $90 per part. As volumes increase, cost is reduced to less than $15 per part. Of course, designs outside of FAST TRACK’s program specifications can be manufactured via process development with Potomac’s digital fabrication staff; however, pricing will change according to the complexity of the microfluidic device design modification. Contact Potomac to review your design and learn more about the FAST TRACK program.